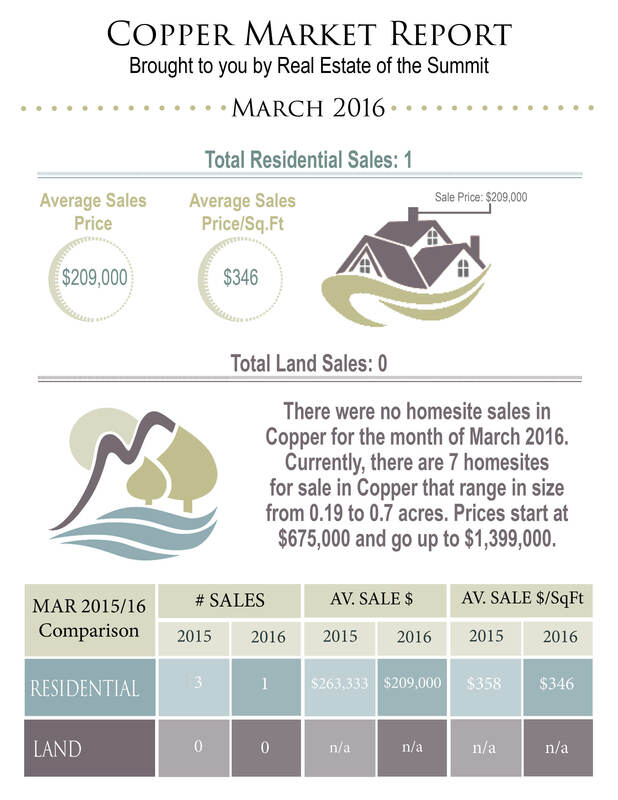 The Copper Mountain Market Report is a visual representation of real estate statistics from the prior month! Our professional team of brokers come together to compare market changes and trends each day to provide you with the best available market information. The monthly diagram provides the current real estate statistics in the Copper Mountain area that can be understood at a glance! Copper Mountain has one of the busiest markets in all of Summit County. Most residential and land properties are located very close to town with either ski-in, ski-out access or just a quick bus trip away from the slopes! High end neighborhoods lie along the outskirts of town, while in town condo rentals are readily available for interested buyers! The next time you consider purchasing or divesting in Summit County properties, make a informed decision by staying on top of the trends with our Copper Mountain Market Report! Take a look at the Copper Mountain Analysis page, which contains market information from previous months and will help you to compare past reports – you can find a link to this page below. For even more information about what’s going on in Copper feel free to contact one of our knowledgeable brokers at Real Estate of the Summit by calling our office at (970)453-1450.